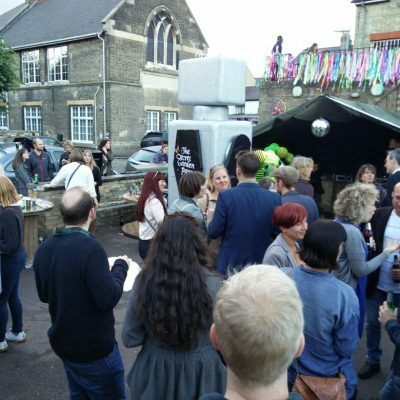 Car Park Party As part of the Mill Road Midsummer Fair community event we ran a car park party with a small stage to give Cambridge a free, fun, mini music festival. 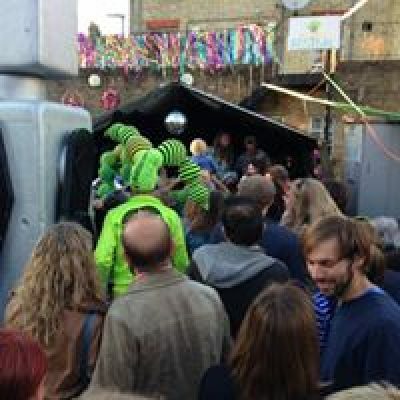 With The Spirited Mare horsebox bar, an army tent covered in flowers to house the bands and DJs, multi-coloured ribbons adorning the fencing and a free glitter station, the car park was transformed into a cool, crazy, urban festival. 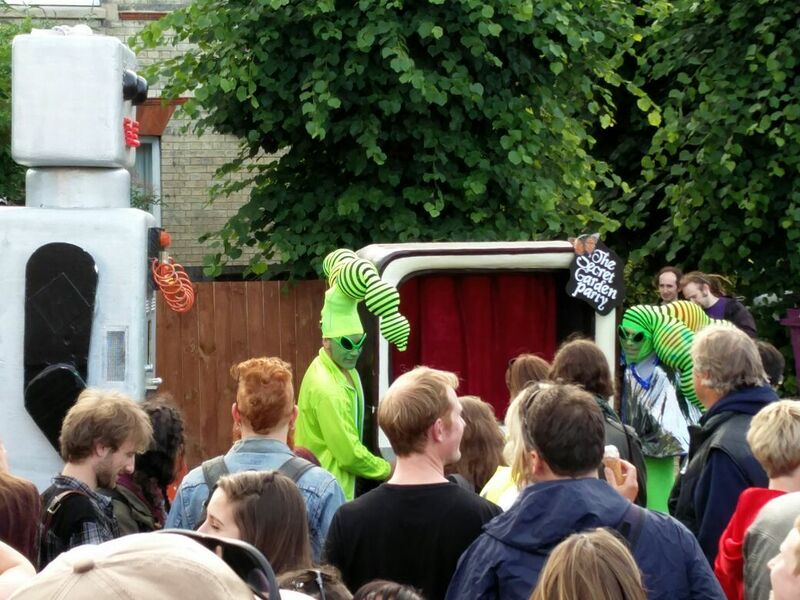 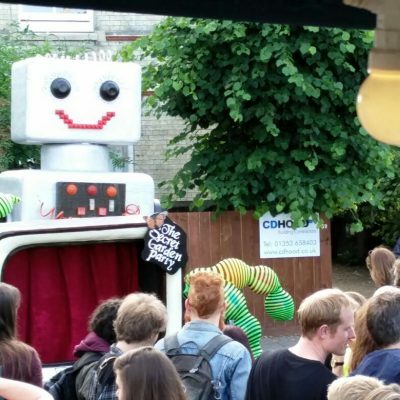 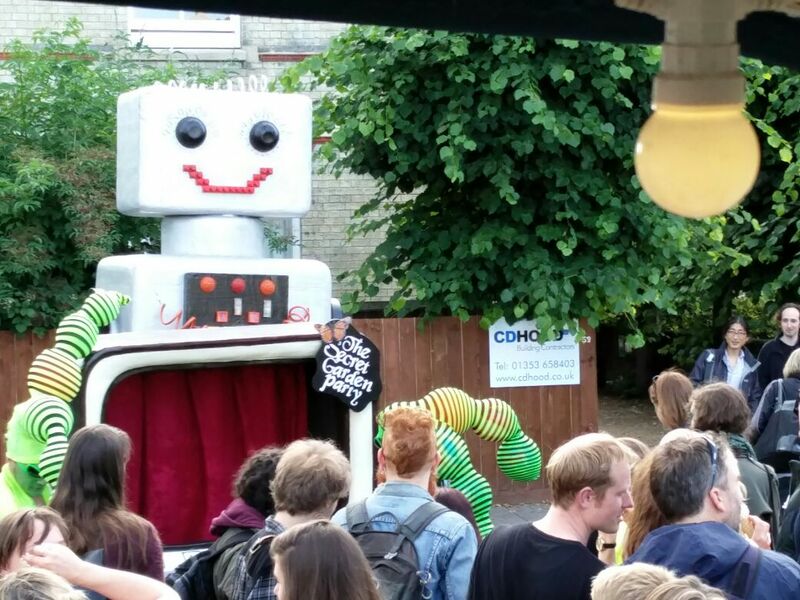 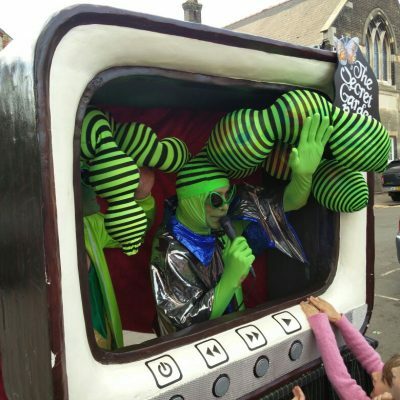 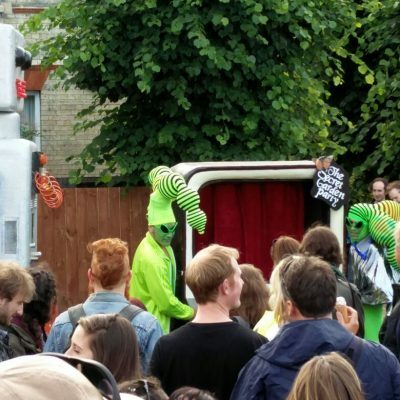 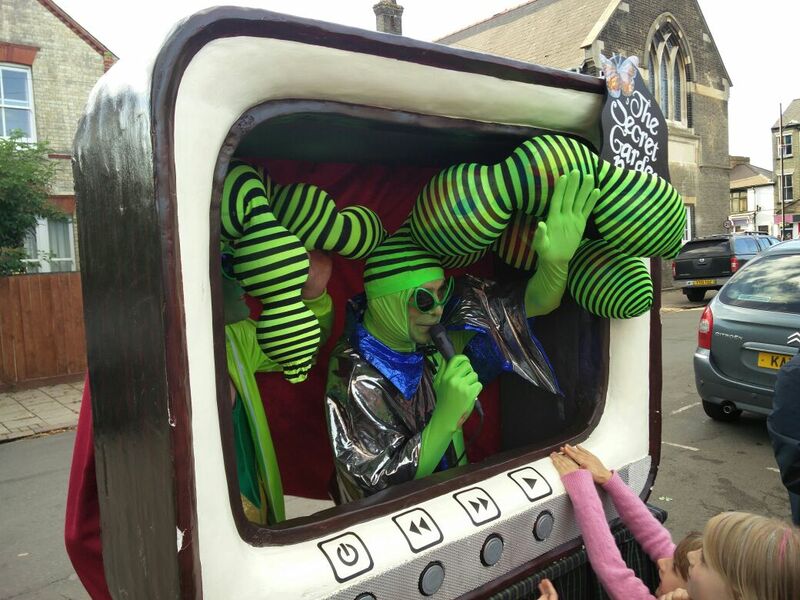 We worked with Secret Garden Party organisers who promoted their slightly bigger festival by sending in robots and aliens and a giant TV, which the kids loved. A range of acts performed - including Lee Gordon and the foot-stomping good Swamp Truck (who really brought the house down) with their upbeat style of bluegrass. 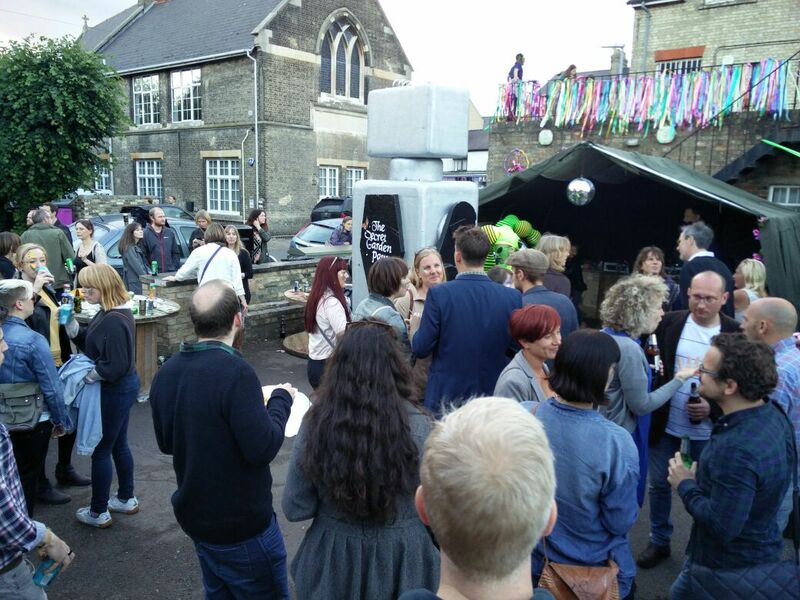 As evening arrived the DJs took over, we started with Jo Senitt playing a great soul and funk set, followed by the legendary Head Gardener from SGP who played some classic tunes that had people dancing in the rain.